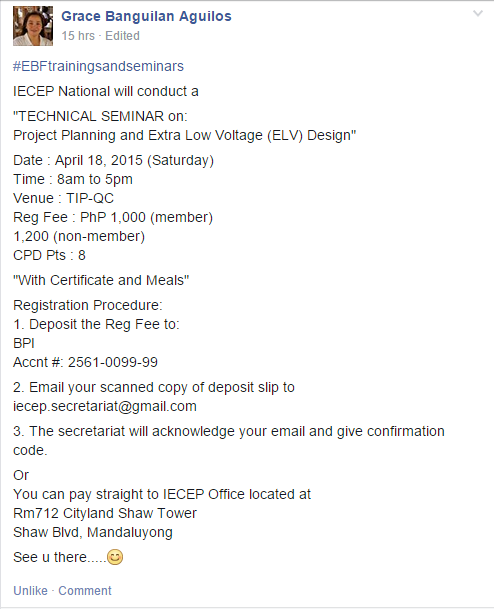 Posted on March 4, 2015 by Eduardo Marin, D.Min. 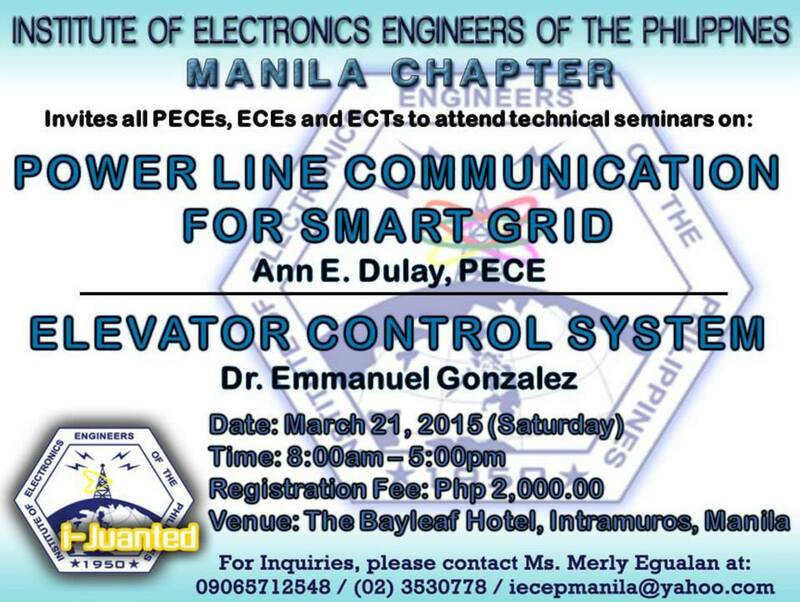 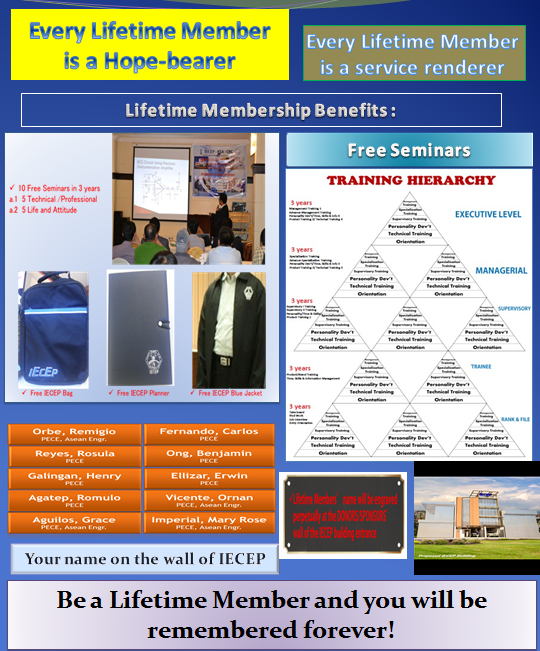 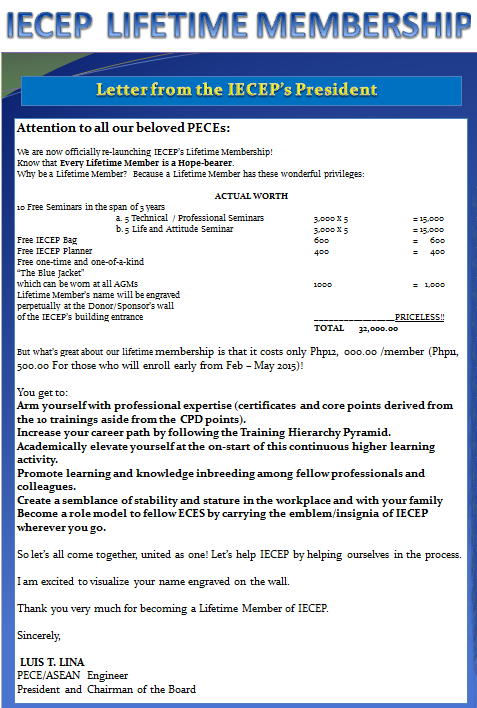 IECEP- Manila Invites all PECE, ECE and ECT to attend a technical seminar on March 21, 2015 @ Bayleaf Hotel, Intramuros Manila. 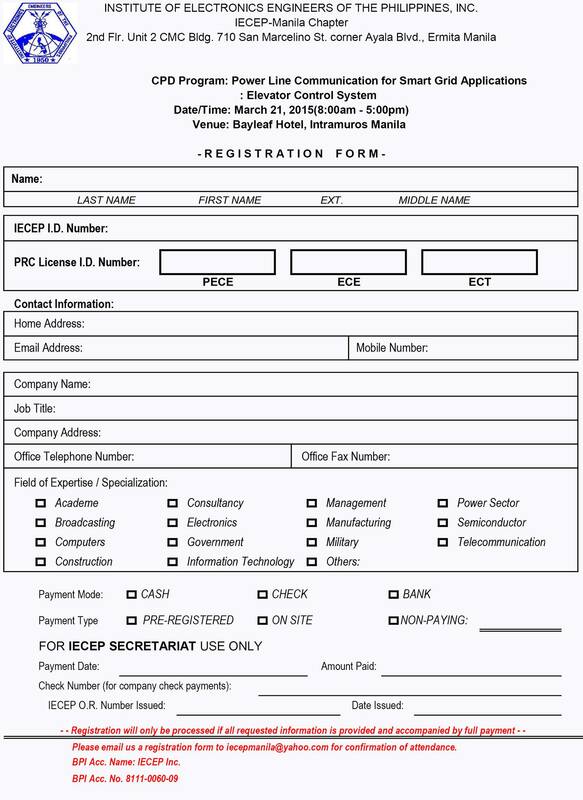 Please email us a registration form and deposit slip to iecepmanila@yahoo.com for confirmation of attendance.